Since Douglas Adam’s revealed the answer to be “42” in his book The Hitchhiker’s Guide To The Galaxy, scholar’s by and large have accepted this as the definitive answer. After all it took a computer (Deep Thought) the size of a planet 7.5 million years of calculation to arrive at this answer. So long did it take that the question posed was actually forgotten. Some believe that the question was what is 6 x 9 (base 13) but in the absence of hard evidence to support this beyond doubt, we have adopted ” Life, The Universe and Everything” as the question. A time warp malfunction resulted in a breakaway group of scholar’s contemplating the same question back in the early 1960s, before Earth even new that the question had been running for nigh on 7.5 million years. This group had two unique qualities that each member possessed. Firstly, they were all super intelligent human beings and secondly, each one owned a Mini. They had amazing success and in an incredible year of sterling endeavour from the middle of 1963, to the middle of 1964 they arrived at the answer “37”. As if endorsement was needed, Paddy Hopkirk won the 1964 Monte Carlo Rally in a Mini – number 37! In 1978, Douglas Adam’s revealed the answer to be “42” in a series of Radio Four Comedy programmes – The Hitchhiker’s Guide To The Galaxy. The world and its scholars ran with this theory. However, the Mini community remains loyal to the original gang of super intelligent boffins and have made the number “37” iconic in their community. The Mini community is now a global network of enthusiasts holding regular meets where without fail the number “37” can always be seen as the knowledge is passed from generation to generation. In homage to the superintelligents of the Mini community and the hard work they do in the name of 37, I give you 37 photographs to show you why you need to go the the Goodwood Revival. Categories: Car Blog, Car Events 2015 | Tags: 37, 42, Goodwood, Goodwood revival, MINI, Revival | Permalink. MINI GP First Generation – ThunderBeast Latest Addition to Our Fold. We have been a part of the MINI community for about 13 years now and most of those who know us, will know that We have always wanted a first generation MINI GP. We have had a fair few MINIs in this time but this one we missed out on having ordered a Checkmate just before this came out. Every time we have been to a static New MINI show we have drooled over the GPs. Many of our friends have had them, Aston, Chris and Jax and Scream who still drives his today. Chris and Jax gave us an extended test run of theirs allowing us to drive it from Malvern to Cardiff on the back roads through Wales and we were suitably impressed. Finally, ten years after the GP was launched we were in a position to add one to our small collection. Recently we were holidaying in Italy and by a wonderful coincidence bumped into Scream and his wife Becky and daughter Minnie in the Piazza del Campo in Siena. We lunched, chatted and caught up on the gossip and I mentioned that we were looking for a GP. A few days later Scream messaged me telling me if a friend who had one. We arranged to see it and on Sunday we collected our very own GP. 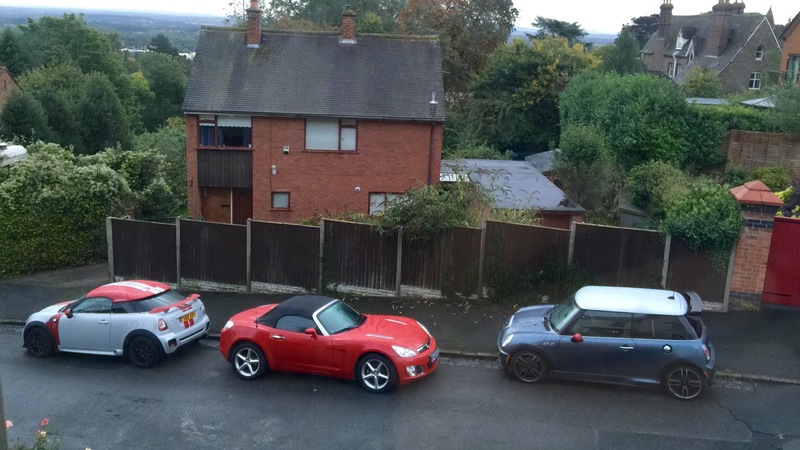 It has been part of the MINI community for many years so many will know the car. It had a long first drive from Yorkshire to Malvern and it gave us a chance to see what we had. 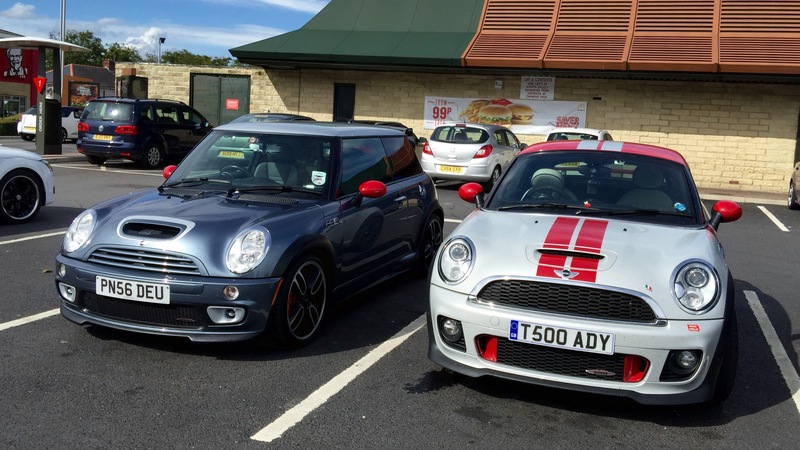 We have a MINI Coupe JCW and inevitably it is that that we draw a comparison too. I have recently blogged that the Coupe is a GP-esque GT. A grand tourer with the sporty overtones of this GP. Now having both I think that is definitely correct. The Coupe is a lot more economical. In truth I feel it is a smidge faster but in handling I think I prefer the GP. It is the mechanical limited slip differential that gets you round a corner so beautifully that just edges the handling in the GP’s favour. The Coupe is a grown up hooligan. The GP is an adolescent hooligan. The Coupe has all the toys for grand touring particularly sat nav. The GP though also has the heated seats and in the case of this one a very nice sounding Kenwood stereo matched to big boot floor mounted speakers. It sounds great, better than the Harmon Kardon on the Coupe but is fiddly to use and lacks the DAB of the Coupe which is so vital for the football. The GP has a supercharger, the Coupe has a Turbo. One is grown up, one isn’t. One is a veritable musical instrument, one isn’t. Both are immense fun but the Supercharger is in truth the more addictive drug. You can poodle about in the Coupe. The GP whispers in your ear telling you to go faster. These are now my children so don’t expect me to pick a favourite they all have their strengths and weaknesses. We have a Paceman SD and an Opel GT and the Elf has CooperBeast a first Generation Cooper. The Paceman is the most comfortable and grown up car of the lot. The Opel, the fastest in a straight line, a fantastic posers car (I do like that) and of course it’s a convertible so has the most headroom. 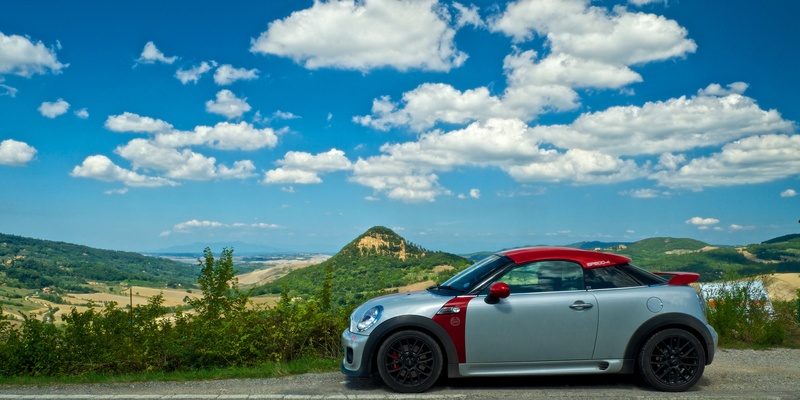 The Cooper is the best in terms of matching the car’s handling to the driver. Of all of them this is the one you can drive flat out for most of the time. To conclude then, the GP is raw, the Coupe more grown up, both are hooligans, the GP an adolescent hooligan, the Coupe a grown up hooligan. We are lucky people, we have cars that suit all jobs except one. None of them are on the company car tick list for the Middle Class, Middle Manager for his work commute and I think that is just how I like it! 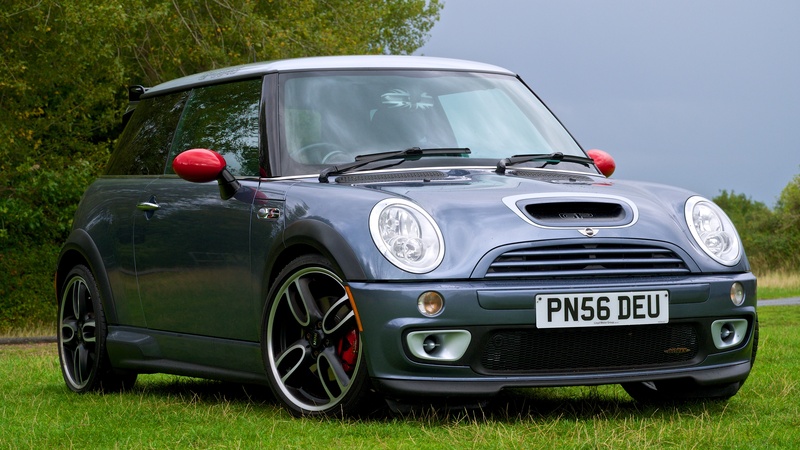 Categories: Car Blog, MINI, Our Motors, ThunderBeast's Blog | Tags: MINI GP | Permalink.